(Low Pressure Drop) Static Mixer is an exceptionally efficient in-line mixer that contains no moving parts. It is easily installed in new and existing pipelines and offers both low installation and low operating costs. With no moving parts to wear out, it is completely trouble free, requires no maintenance and has an infinite life. Its patented design provides mathematically predictable mixing results of liquids or gases with very low pressure drop. There are virtually no viscosity limitations. The LPD Mixer consists of a series of semi-elliptical plates which are discriminately positioned in a tubular housing. A single element consists of two plates perpendicular to each other. The mixing operation is based on splitting and then diverting input streams. In laminar flow, the number of layers (L) formed by (E) elements with an initial input of (N) components is given by L = N(2)E. In turbulent flow, the elements enhance the random dispersion of sub-streams so that an LPD with six elements is sufficient for most low viscosity mixing requirements. 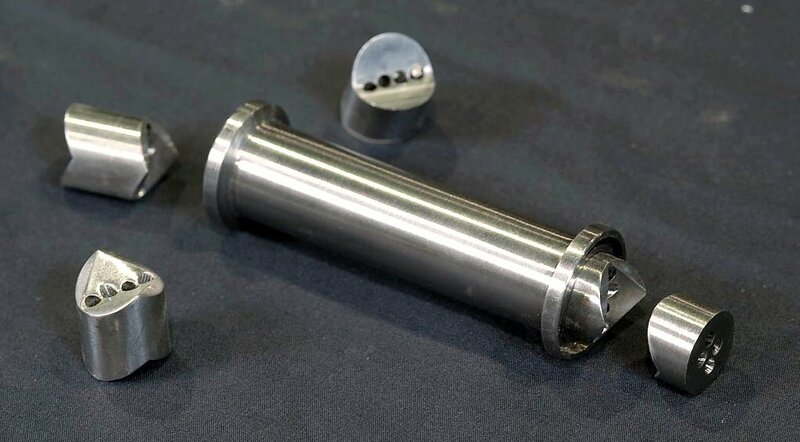 The mixing elements are not normally welded to the housing, but as an option they can be welded in place. LPD Mixers are available in standard pipe from 1" to 30" diameter in 2-element to 36- element modules. There is no limit to how large the mixer can be. The mixer is fabricated in stainless steel type 316 and carbon steel. Other construction materials are also available. The mixer can be ordered with plain, threaded or flanged ends or with special end connections. It can also be furnished with a heating or cooling jacket. The diameter and number of elements in an assembly depend on the degree of mixing required. As a general rule, the diameter of the mixer should be the same size as the process pipeline. Where available pressure drop is limited, select a larger diameter mixer. The number of elements required and the pressure drop for a given application may be determined from the Mixer Selector section. When the available pressure drop is limited, an LPD mixer with a larger diameter than the process piping can be selected. Another option is to use a slightly different style static mixer. 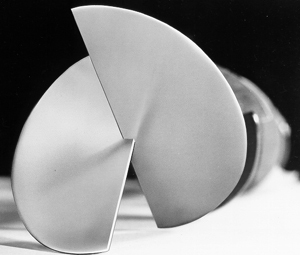 The LLPD consists of semi-elliptical plates like the LPD design, but the plates are 120 degrees relative to each other instead of 90 degrees. 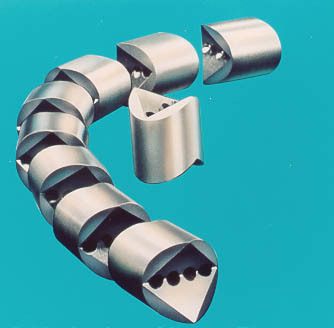 Length to diameter ratio increases from 1.5 to 1.75, and pressure drop is reduced by a factor of 0.46. 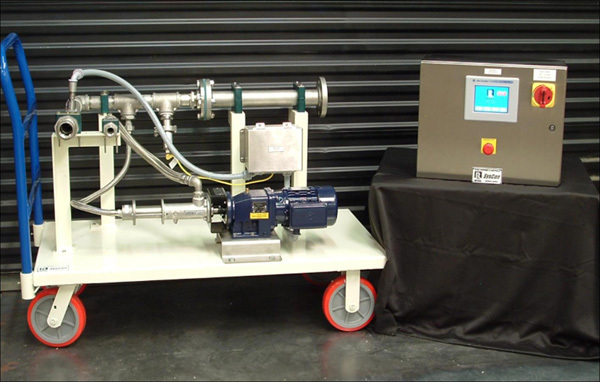 (Interfacial Surface Generator) Mixer is a continuous process, in-line mixer having no moving parts. It offers mathematically predictable layer generation in a wide variety of liquid-liquid, liquid-solid, and gas-liquid mixing applications. The mixer can quickly be installed in new and existing pipelines at low initial and operating costs. Since it has no moving parts, there is no wear and as a result, no maintenance is required. The four holes in each ISG element are at oblique angles so that material near the periphery (i.e. near the pipe wall) on the inlet side of the element emerges near the center on the outlet side. 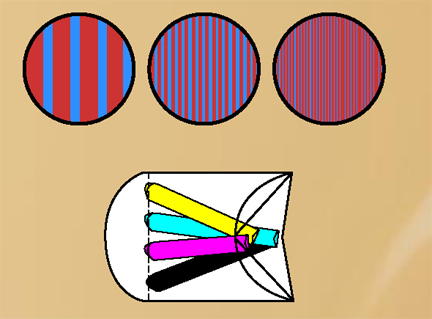 This radial mixing eliminates the wall smearing effect often encountered otherwise. This actual photo illustrates the predictable mixing that occurs after only five elements. 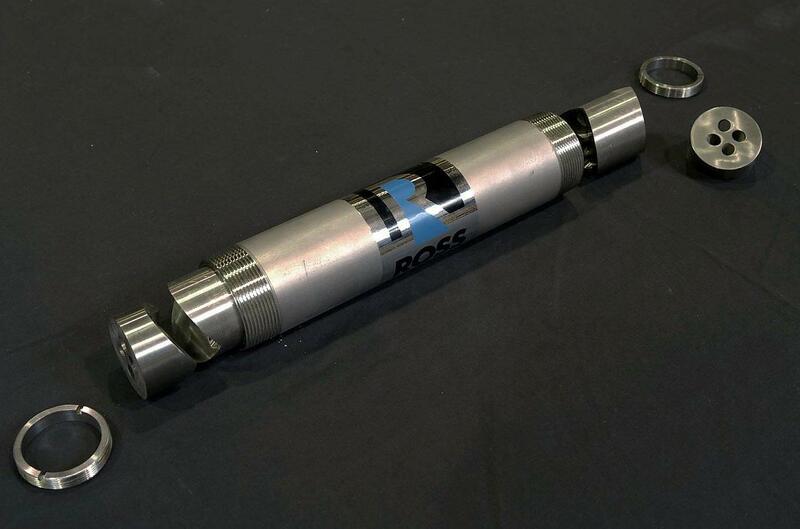 The Ross ISG mixer is ideal for applications where mixing elements must be removed for fast, easy cleaning - such as for sanitary requirements. The mixer is unsurpassed in blending materials with large viscosity ratios, as high as 250,000:1 and more. The Sanitary LPD Static Mixer is used in the food, pharmaceutical and cosmetic industries and is specifically designed for those processing applications that require quick take-apart construction for frequent cleaning. Sanitary units can be provided with quick disconnect or sanitary threaded end connections to enable fast removal from a system for cleaning and inspection. The mixing elements are housed in a sanitary tubing. Sanitary "LPD" Mixers are manufactured in type 316 stainless steel. The mixing elements and the standard housings have a #4 finish but are available in mirror finish both internally and externally. All welds are ground smooth and are free of cracks and crevices. For lower pressure drop, the LLPD model is also available. 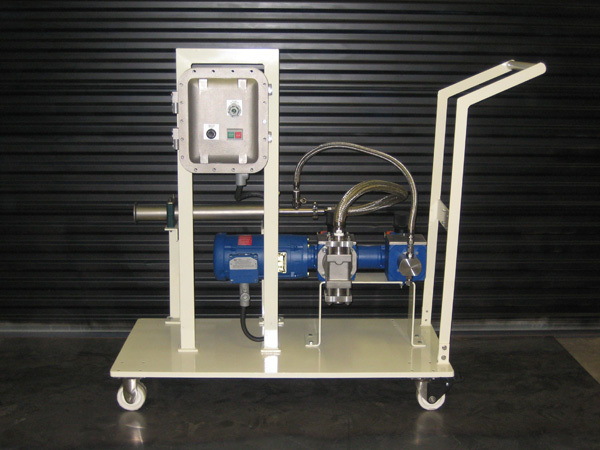 Ross Static Mixer Skid Systems complete with piping, controls, pumps and mobile skid.